A long hike is fun, but takes a lot out of your feet. With high-quality, comfortable merino socks, your feet will stay top fit and blister-free. Merino socks use the excellent properties of merino wool to keep your feet warm and dry. If you want to do your feet a favour, clothe them in merino wool socks. This way, even the longest march never becomes an agony. What is so special about merino socks? The wool of merino sheep is a true "miracle fibre" - and that is what makes socks made from merino wool so special. First of all: Merino socks are wonderfully insulating! This means your feet will stay nice and toasty even in cold temperatures. Merino socks, with their very fine wool, are very soft. This means that your feet won't rub and chafe, thus preventing blisters. Their natural breathability means that merino wool socks have excellent wicking properties, leaving your feet nice and dry. Another important property of merino socks is that they don't take on disagreeable odours. This means that even after long, exhausting hikes, your feet won't smell of cheese. 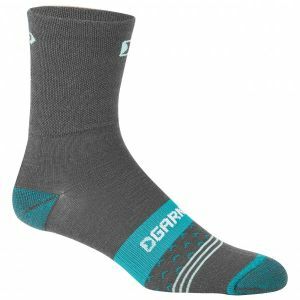 Whether Smartwool socks or Icebreaker socks, if you choose socks made of merino wool, you will be giving your feet what they need to make it through even the toughest tour!